It has been a challenging month for me. My computer and I were separated for all but a few days of August! Thankfully, family visits and work kept me sane. Taking photos in the meantime held no appeal for me since I was not able to do my post processing. My new computer and I are becoming acquainted as I reconnected with my digital stuff. It will be a while before I have retrieved all my files and folders from the external hard drive and online backups. I’m so glad I had several levels of digital storage. Where is your stuff backed up….? 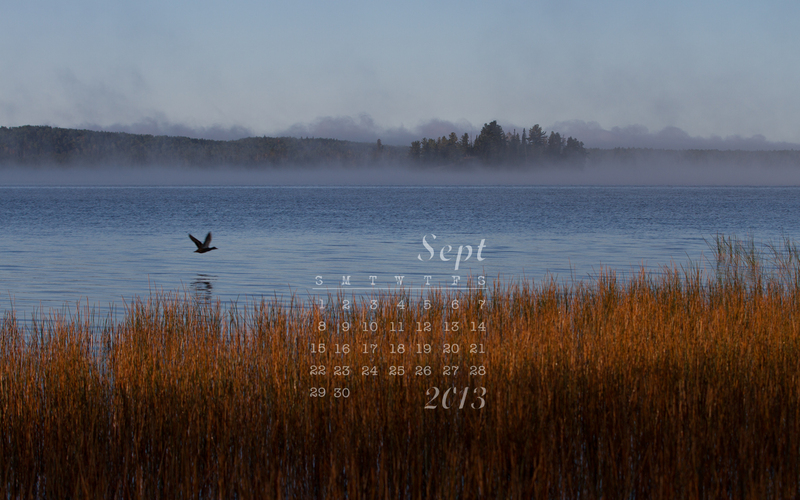 Better late than never I offer a calendar for this month. For different screen resolutions, select Free Calendar from the drop down menu above.